Aperture is one of those specs that only seems to have been talked about seriously in the last few years. In fact, until relatively recently I didn't really know what it meant. I now realize how important it is, as it relates how much light a camera lens lets in, so the bigger the aperture the better your photos will generally be, especially in low light conditions. The Samsung Galaxy S8 currently has the biggest aperture of any smartphone camera, f/1.7, but LG is about to improve on that. It had previously been rumored, but now we've got official confirmation from LG that the upcoming V30 will feature a camera with an f/1.6 aperture. According to LG, it will let in 25% more light than the f/1.8 lenses found in many other phones. To be clear, the smaller the f/ number, the larger the aperture. That means the hardware on the V30 will be that little bit better than the Galaxy S8. Many proper cameras don't even have an aperture as large as f/1.6, so it shows some serious engineering prowess from LG to fit it into a device so small. Of course, aperture isn't the only spec that matters when it comes to making a good smartphone camera, so a lot will depend on how the rest of the set-up performs, including the wide angle lens that will work in tandem with the main snapper on the V30. That second sensor is said to decrease edge distortion on wide angle shots by a third when compared to the V20. 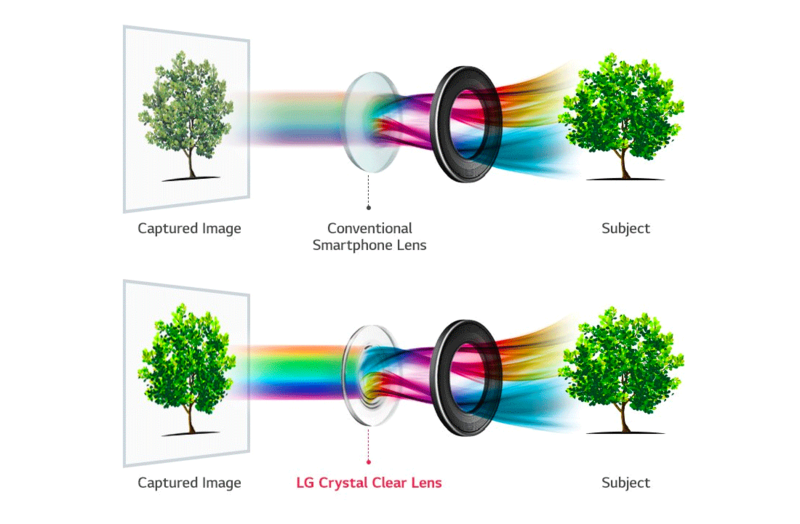 LG has also talked up the Crystal Clear lens it's using, which it says will be able to collect more light and lead to better color reproduction. The camera module of the LG V30 remains compact in spite of these improvements and is even 30% smaller than the one in its predecessor, the V20. Features such as laser detection autofocus, optical image stabilization, and electronic image stabilization will also make their way to the new device. We'll get our first official look at LG's next flagship at IFA in Berlin at the start of next month, but in the meantime, here's a glimpse of what it will look like. Further details about the camera have emerged on LG's Korean site. A press release with all of the above details also adds that the main camera will have a 16MP sensor, with the wide angle lens beside it slightly less at 13MP.